This Hari Raya Aidilfitri, Pavilion Kuala Lumpur, Malaysia’s premier shopping destination, presents ‘Raya Seribu Impian’, a Celebration of a Thousand Dreams. 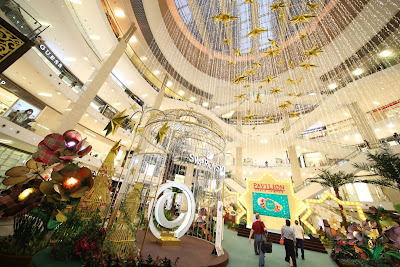 The mall invites shoppers to join in the festivity of sharing, giving and the fulfilment of dreams and hopes this Hari Raya by experiencing tradition and the blooms of harmony, amazing rewards, charity specials and the fulfilment of a thousand wishes for the community. In conjunction with Visit Pavilion 2018, the Centre Court and Spanish steps were transformed into a Raya wonderland of glittering stars, flowers, lights and a special Raya swing designed exclusively by Swarovski for the mall. To start off the Raya campaign, 100 children from two charity homes, Rumah Kebajikan dan Bimbingan At-Taqwa and Rumah Amal Al-Firdaus were invited to join in the celebration as part of Pavilion KL’s corporate social responsibility (CSR) initiative to reach out to the communities during festive celebrations. 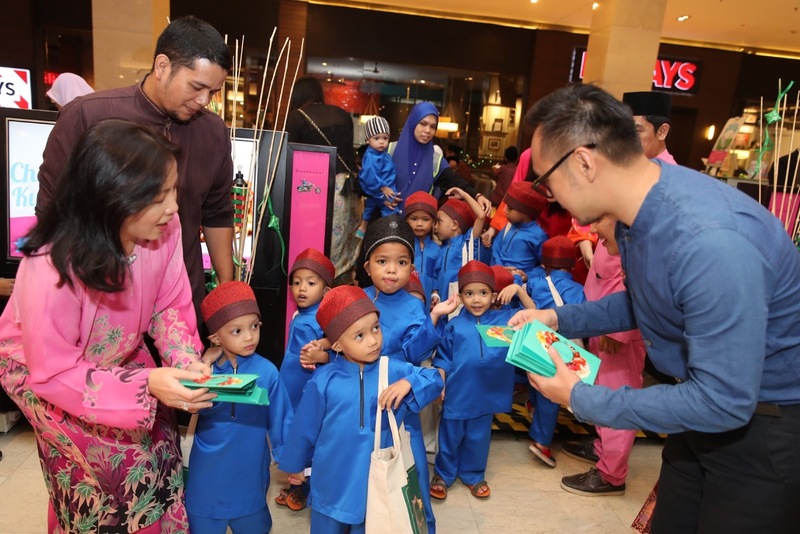 In continuing the act of giving and supporting the welfare of the community, Pavilion KL welcomed its ‘Raya Seribu Impian’ CSR initiative to once again dedicate funds and items to benefit Children’s Homes. Throughout the campaign, Pavilion KL will be hanging up wishes from various children’s homes on the Spanish Steps and make their wishes come true in the spirit of Raya. The melody of “Seribu Impian”, performed by Datuk Syafinaz Selamat added charm and persona to the ambience, before having a sumptuous buka puasa dinner at Grandmama’s, Malaysia’s favourite local food restaurant. In the tradition of giving and sharing, ‘Duit Raya’ and goodie bags were given to the children from the charity homes. Kung Suan Ai, Director of Marketing of Pavilion KL said, “2018 is a milestone year for Pavilion Kuala Lumpur as we celebrate our 10th Anniversary with dream rewards, luxury, experiences and fulfilment of dreams for shoppers and the community. In line 'Raya Seribu Impian' theme, which promises the fulfilment of dreams for shoppers and the community. This year, we capture the pure, bright essence of Hari Raya and make wishes come true in a Celebration of a Thousand Dreams and not to forget as we celebrate with the less fortunate. On behalf of Pavilion KL, I invite our shoppers to enjoy the festive activities and events we have on offer for an unforgettable shopping experience”. Throughout the Hari Raya campaign, shoppers are entitled to a limited edition Festive Tin designed especially for Hari Raya with Raya packets when they spend a minimum of RM500 in a single receipt or RM300 with a Maybank Credit / Debit Card. Aside to that, Maybank is also rewarding shoppers with dream gifts and experiences, such as Receive a Bric’s Milano Mini Bellagio amenity kit plus a limited edition Festive Tin with Raya packets with RM1,800 spent with a Maybank Credit / Debit Card. Shoppers will also have the opportunity to receive an exclusive Swarovski travel jewellery case with RM5,000 spent centre-wide throughout the campaign. Likewise, be part of Pavilion KL’s Top Spenders programme and stand a chance to win a RADO watch. A total of ten RADO watches worth over RM100,000 to be won*.